Public AppearancesHere you will find Rihanna's photos appearing at events, award shows, movie premieres, press conferences and more. 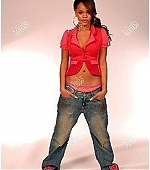 PhotoshootsProfessional images of Rihanna from outtakes and portraits. PerfomancesPhotos from Rihanna's live performances. Movie ProductionsHere you will find promotional stills, posters, promo shoots, screencaptures, and more from Rihanna's movies. TV ProductionsHere you will find captures, promotional stills, covers, and more Rihanna's TV episodes appearances. CandidsPictures of Rihanna out and about living her fabulous everyday-life. TourShow photos, backstage and rehersals. Music VideosPromoshoots, captures, and Behind The Scenes pictures of Rihanna's music videos. Screen CapturesHere you will find captures of Rihanna on Talk Shows, Interviews and more.